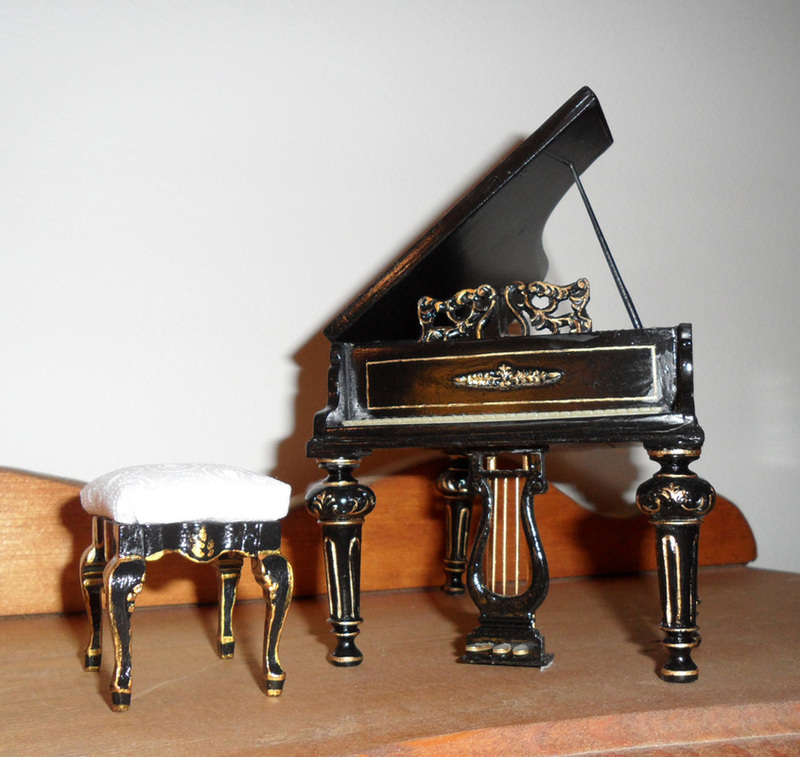 Most of my houses have pianos, but these four are very special and are not placed in houses. All are one-inch scale pieces. This piano is made of walnut The grain is absolutely beautiful! The bench opens, but sadly the piano is not signed, so I do not know the identity of the artist. 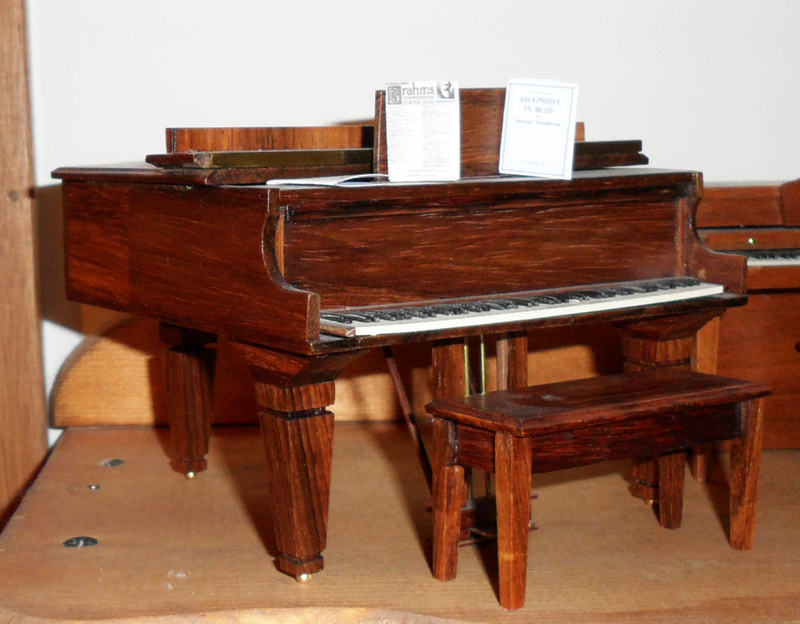 This piano is marked on the bottom, "Cincinnati Miniature Society, 1984." 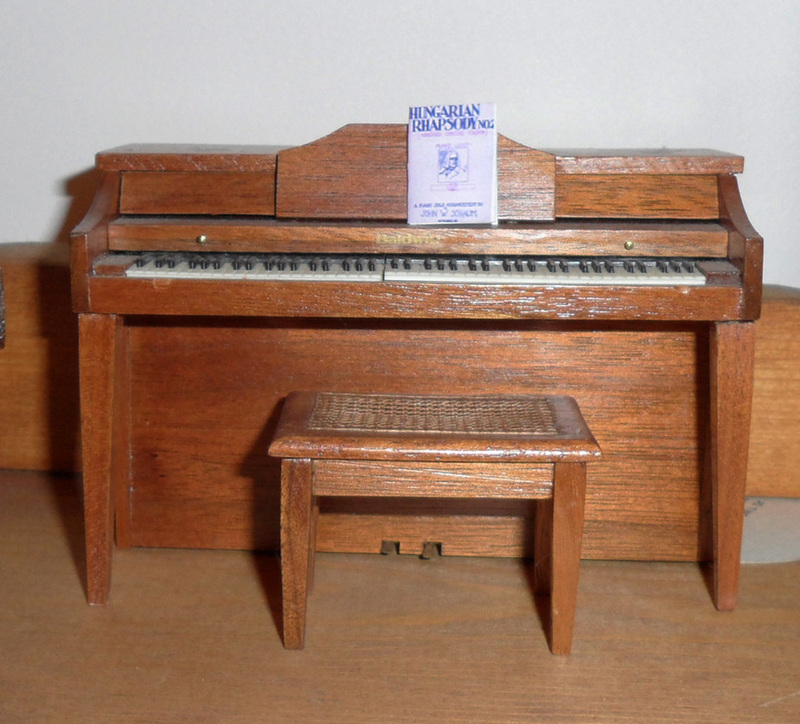 This oak piano was created by the George Good Company. 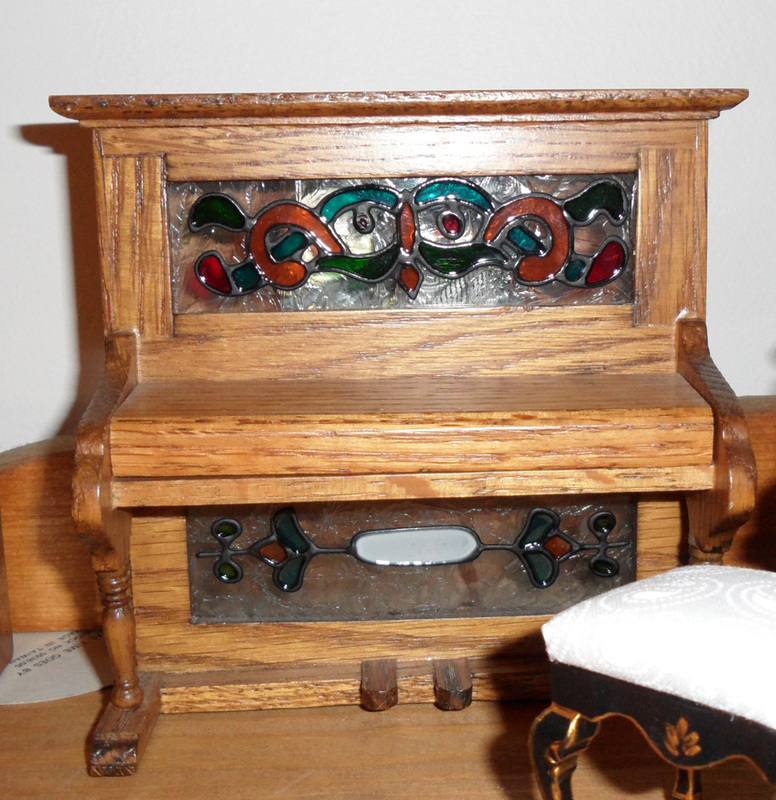 It has a wind-up key in the back and plays, "As Time Goes By." The last piano in this collection is an older piece by Bespaq. It was damaged and needed some repair and touch-up. It was missing a bench, so I created one to match from a cheaper piece.